Our Three Phase Servo Stabilizers are used to protect the sensitive equipment from voltage fluctuations caused due to switching ON/Off of heavy machinery, load distribution on the transformers, etc. 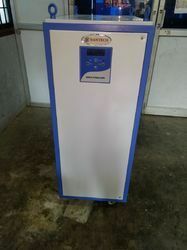 Our Stabilizer uses a Microcontroller (DSP) control system to provide a steady voltage and also protects the machinery from under/over voltage, overload, single phasing and phase reversal conditions.These stabilizers are used for various kinds of machinery like CNC, Textile, CT Scans, Printing, Packaging, Freezers, Textile, Garment, Packaging, Medical, Analytical, UPS (bypass), Printing, CNC machines , Lifts, Centralized AC, Telecom (GSM towers), Petrol Bunks, Residential, Food processing, Offices/Commercial Complexes etc. 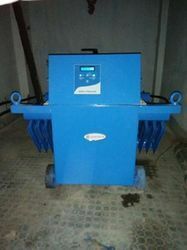 Our Three Phase Servo Stabilizers consists of three single phase units connected in star. 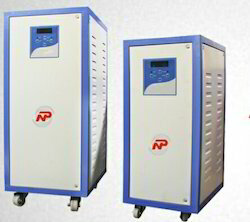 The voltage sensing & correction is done in each phase independently with respect to the neutral, also called as unbalanced type voltage stabilizers. Our Stabilizer uses a Microcontroller (DSP) control system to provide a steady voltage and also protects the machinery from under/over voltage, overload, single phasing and phase reversal conditions. 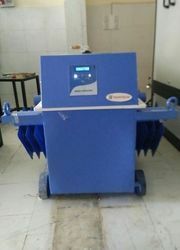 These stabilizers are used for various kinds of machinery like CNC, Textile, CT Scans, Printing, Packaging, Freezers, Textile, Garment, Packaging, Medical, Analytical, UPS (bypass), Printing, CNC machines , Lifts, Centralized AC, Telecom (GSM towers), Petrol Bunks, Residential, Food processing, Offices/Commercial Complexes etc. Our Servo Stabilizers are used to protect the sensitive equipment from voltage fluctuations caused due to switching ON/Off of heavy machinery, load distribution on the transformers, etc. 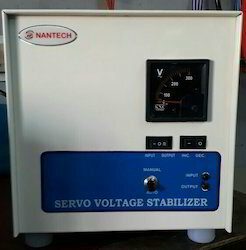 Our Stabilizer uses a Microcontroller (DSP) control system to provide a steady voltage and also protects the machinery from under/over voltage, overload, single phasing and phase reversal conditions.These stabilizers are used for various kinds of machinery like CNC, Textile, CT Scans, Printing, Packaging, Freezers, Textile, Garment, Packaging, Medical, Analytical, UPS (bypass), Printing, CNC machines , Lifts, Centralized AC, Telecom (GSM towers), Petrol Bunks, Residential, Food processing, Offices/Commercial Complexes etc. 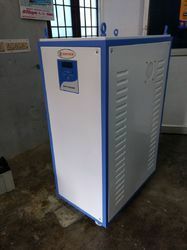 Our organization is engaged in manufacturing a wide variety of Oil Cooled Voltage Stabilizer, which are manufactured under the supervision of our expert professionals using the latest techniques. The product is available in varied specification right from 1-500 KVA and can also be customized in accordance with the requirements of the customers. 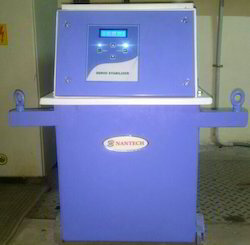 Furthermore, our range is available with precise electronic sensing, which is used for providing better function.